I leave Montserat today to go back to Barbados. The last few days were a blur. After the opening on Friday night, the festival went into full swing on Saturday. It started with Ian Thompson’s workshop on writing about other people. He tackeled some interesting issues such as whether you need to get the person’s approval or of others close to them, whether to record or to take notes, and whether to leave out sensitive material. His book ‘The Dead Yard – A story of modern Jamaica’ caused an outcry in Jamaica as people complained about his depiction of its peoples. He was threatened with law suits from Edward Seaga (former Prime Minister) but nothing came of it. In the end his book has been accepted. I believe I needed to hear this as my next novel may ruffle a few feathers. 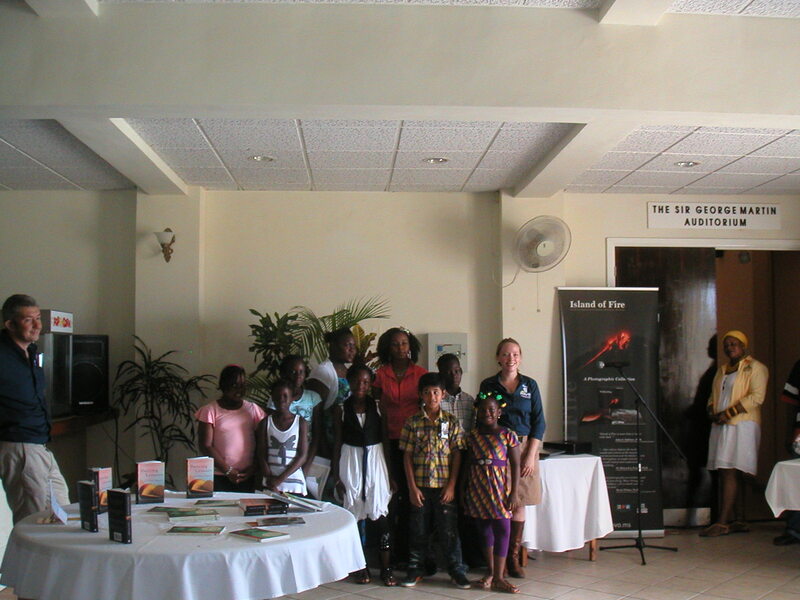 The next slot was Spakers Corner and after watching the presentation on the new book by Montserrat Volcano Observatory (MVO) ‘Island of Fire’ and listening to Clairce reading her neice’s poems, it was my turn to perform four poems from my collection. (For anyone interested I did Newsflash, The Guide, Saxophone Lover and Meeting at the Pearly Gates) They were very well received, reflected in book and CD sales. There was talk of going into schools and helping children to understand that poems can be performed, not just read. I think the children know that already, they call it rap, but are never invited to these kinds of events to perform. Some were, however, invited to read the the poems they had written as part of competition organised by the MVO based on the title ‘Volcano in my back yard’., (at least the winners were). I listened and was inspired. They were awesome. The picture is of the winners of the staff from MVO. This entry was posted in Montserat 2011. Bookmark the permalink.